Some of the rarest and most incredible cars ever built are currently touring the roads of England, as they prepare for their star turn at this year’s Concours of Elegance. 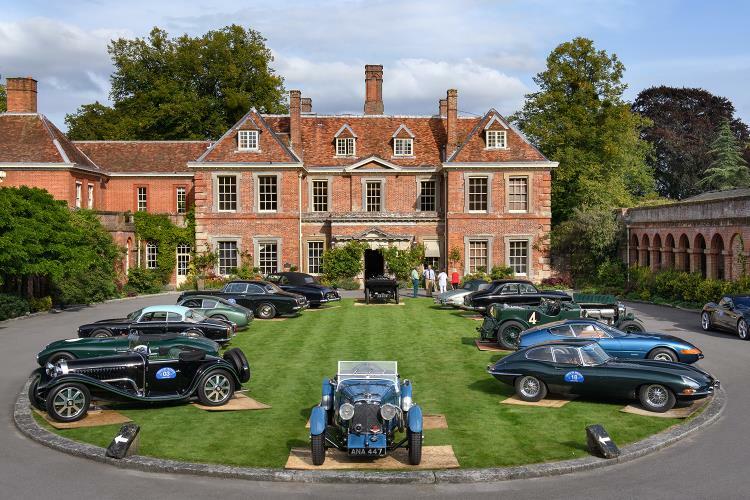 The 300-mile tour takes in some of the best roads the UK has to offer, before finishing at Hampton Court Palace on Friday morning for the Grand Arrival and the opening of the 2017 Concours of Elegance. Among those on the Tour is one of the most iconic classic car finds of the last decade, the Maserati A6G 2000 Gran Sport ‘Baillon Barn Find’. Since being discovered in a French barn in 2014 – in completely original condition – the car is now back on the road, and is being shown in the UK for the very first time. Joining the Maserati are a number of other Concours entrants, including the beautiful Aston Martin DB4GT Zagato and the one-of-38 Bugatti Type 55; a roadgoing version of Bugatti’s Type 51 racing car. Concours of Elegance 2017 is the largest and most diverse running of the event yet, not only featuring one of the most incredible collections of vehicles ever seen in the main concours display but also a number of other special motoring features. Among them is a 60th anniversary celebration of Jaguar’s legendary 1-2-3-4-6 finish at the 1957 Le Mans 24 Hours race. All three podium finishers will drive in convoy, alongside two further Le Mans-raced D-types, into the grounds of Hampton Court Palace for the duration of this year’s Concours of Elegance. The ‘Harry’s Garage’ feature, curated by founder of the YouTube channel of the same name and evo magazine, Harry Metcalfe will bring together the most amazing modern supercars from Pagani, Koenigsegg, Lamborghini and more. Chief among them is the unique Koenigsegg Agera RS ‘Naraya’, with a body made of blue-tinted carbon fibre and highlighted by genuine 18ct gold leaf. A new central stage will be the focal point of the weekend, hosting moving displays of vehicles across the weekend, adding a new dynamic element, which brings more of the sights, sounds and smells of some of the most incredible cars ever produced to the guests of Concours of Elegance 2017. Tickets for this year’s Concours of Elegance are available on the door, starting from just £25, with concessions from £17.50. Children under five and carers can enter free of charge. Members of the public also have the opportunity to attend on Friday 1st September, a day normally reserved for the Owners of the main Concours cars.